If you work in a marketing role like I do, it’s probably difficult for you to define marketing even though you see and use it every day -- the term marketing is a bit all-encompassing and variable for a straightforward definition. The selling part, for instance, overlaps a little too snuggly with a “what is sales” definition, and the word advertising makes me think of Mad Men brainstorming sessions. But upon digging deeper, I began seeing that actually, marketing does overlap heavily with advertising and sales. Marketing is present in all stages of the business, beginning to end. Marketers are crucial for fine-tuning how a business sells a product to consumers to optimize success. What’s the Difference Between Advertising and Marketing? Essentially, if marketing is a wheel, advertising is one spoke of that wheel. Marketing entails product development, market research, product distribution, sales strategy, public relations, and customer support. Marketing is necessary in all stages of a business’s selling journey. On the other hand, advertising is just one component of marketing. It’s a paid strategic effort to spread awareness of a product or service, but it’s not the only method used by marketers to sell a product. In the 1960’s, E Jerome McCarthy came up with the 4 Ps of marketing: product, price, place, promotion. Essentially, these 4 Ps explain how marketing interacts with each stage of the business. Let’s say you come up with an idea for a product you want your business to sell. What’s next? You probably won’t be successful if you just start selling it. Instead, you need your marketing team to do market research and answer some critical questions: Who’s your target audience? Is there market fit for this product? What messaging will increase product sales, and on which platforms? How should your product developers modify the product to increase likelihood of success? What do focus groups think of the product, and what questions or hestitations do they have? Marketers use the answers to these questions to help businesses understand the demand for the product and increase product quality by mentioning concerns stemming from focus group or survey participants. Your marketing team will check out competitors’ product prices, or use focus groups and surveys, to estimate how much your ideal customer is willing to pay. Price it too high, and you’ll lose out on a solid customer base. Price it too low, and you might lose more money than you gain. Fortunately, marketers can use industry research and consumer analysis to gauge a good price range. It’s critical that your marketing department uses their understanding and analysis of your business’s consumers to offer suggestions for how and where to sell your product. Perhaps they believe an ecommerce site works better than a retail location, or vice versa. Or, maybe they can offer insights into which locations would be most viable to sell your product, either nationally and internationally. This P is likely the one you expected from the get-go: promotion entails any online or print advertisement, event, or discount your marketing team creates to increase awareness and interest in your product, and, ultimately, lead to more sales. During this stage, you’ll likely see methods like public relations campaigns, advertisements, or social media promotions. Hopefully, our definition and the four Ps help you understand marketing’s purpose and how to define it. 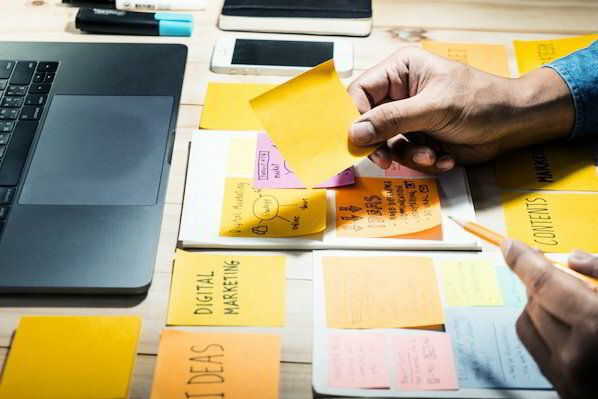 Marketing intersects with all areas of a business, so it’s important you understand how to use marketing to increase your business’s efficiency and success.